Amazon buying Whole Foods isn't just about groceries. It's about everything. Amazon’s Whole Foods Purchase Isn’t Just About Groceries. It’s About Everything. Jeff Bezos wants Amazon to be the de facto source for everything you buy. Amazon will buy Whole Foods for more than $13 billion, Bloomberg News and others reported Friday morning. The move should awe but not shock. Amazon was already pushing into the $800 billion grocery business via its Amazon Fresh delivery business, which competes with the likes of Instacart, FreshDirect, and Google Express. So far these services have made inroads mostly in the nation’s densest cities, including New York and San Francisco. The Whole Foods purchase changes the landscape dramatically. Suddenly Amazon owns a nationwide network of already-popular grocery stores that have already solved the tricky logistical problems involved in sourcing and storing fresh food. What Amazon brings is the world’s largest online sales portal and its mastery of the home-delivery business. Scale, meet scale. Logistics, meet logistics. Loyal customer base, meet loyal customer base. 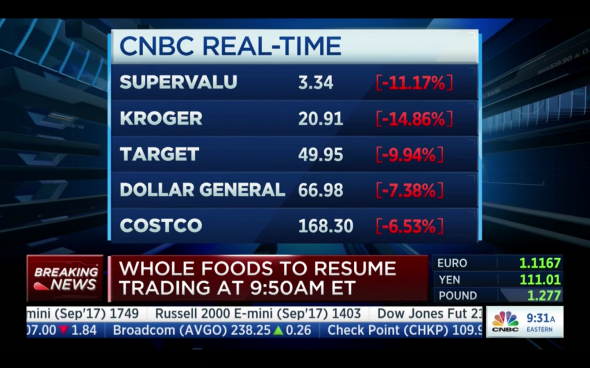 If you’re in the grocery business and your name is not Amazon or Whole Foods, today is not a good day for you. Grocery companies aren’t the only ones that should be trembling. But Amazon is also chasing something even larger here. Its move into groceries isn’t just about adding a new territory to its online retail empire. It’s about dominance, comprehensiveness, and the pursuit of monopoly. Adding groceries to its repertoire gets Amazon that much closer to being a one-stop destination for everything you buy. It gets customers visiting Amazon.com not just occasionally, but several times a week, every week. It reinforces the behavior by which customers search for things to buy on Amazon.com, rather than on a search engine like Google. It builds Amazon’s two-hour delivery business, which it sees as crucial to its future. There’s more. It encourages people to use the Amazon Echo smart speaker for shopping lists and purchases, which makes far more sense when you’re ordering groceries than it does when you’re trying to buy, say, a new lamp or a pair of shoes. Same goes for Amazon Dash, whose Wand bar code scanner the company has just resurrected. And, perhaps most importantly of all, it will force every Whole Foods customer to strongly consider signing up for Amazon Prime, which turns Amazon into their de facto source not only for online retail but for instant video and other media. The grocery stocks are down Friday, but they shouldn’t be the only companies trembling: Google, Apple, and even Uber are threatened by Amazon’s growing hold over e-commerce, media, and same-day home delivery. 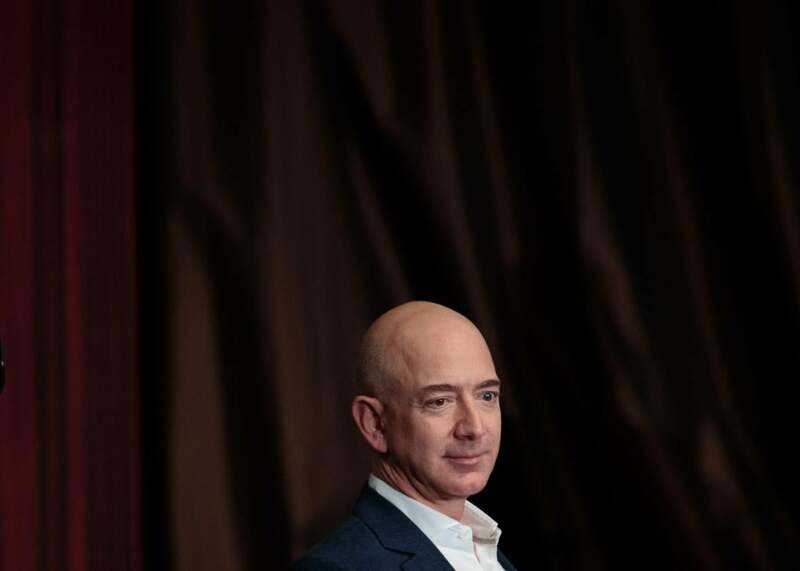 In short, Jeff Bezos wants to take over the world—and this is a very significant step in that direction.